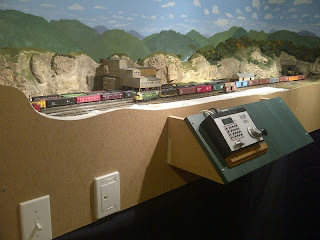 Eastern Hills & Southern: The Main Mine on the Layout. This section is 8' long and is dedicated to the mine itself. The tipple has 3 tracks for loading, one stub for supplies to be unloaded. There is also one track for switching out loads & Empties. 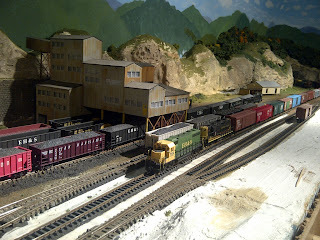 Across the two main lines passing the mine is a small team track for general supplies. 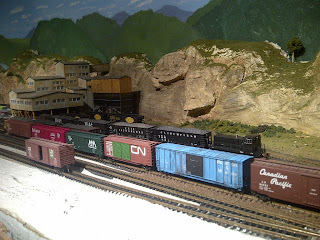 There is still some scenery to finish along the edge, I want to get the Fascia finished first. Might be on the agenda for tomorrow.